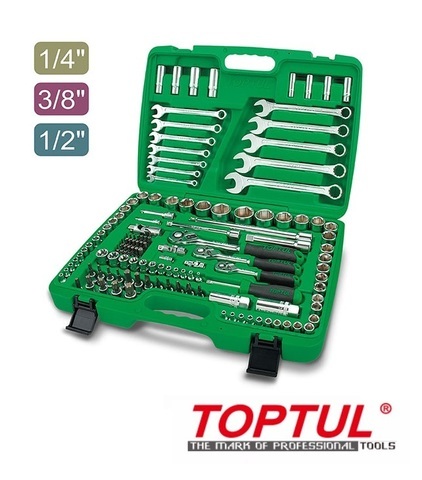 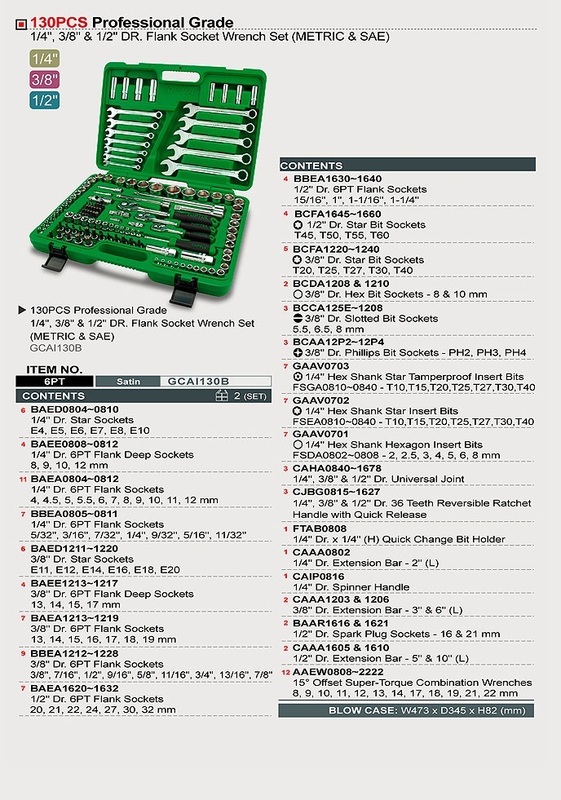 Toptul Professional 130pcs 1/4", 3/8" & 1/2" Dr. Socket Wrench Set (METRIC & SAE)..
TOPTUL The Mark of Professional Tools’s mission, as a worldwide Sockets supplier, is to make its key technologies available to its final customers at an affordable price, by matching high quality and a competitive offer, technology and flexibility. 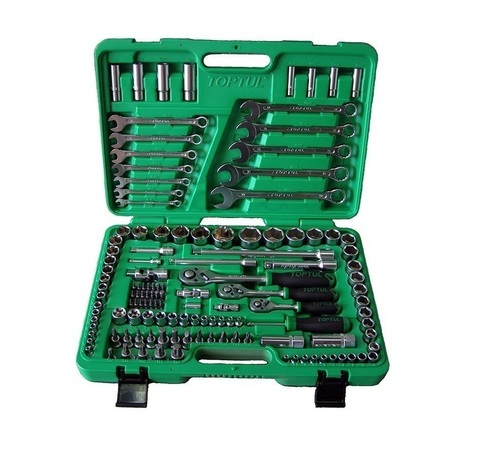 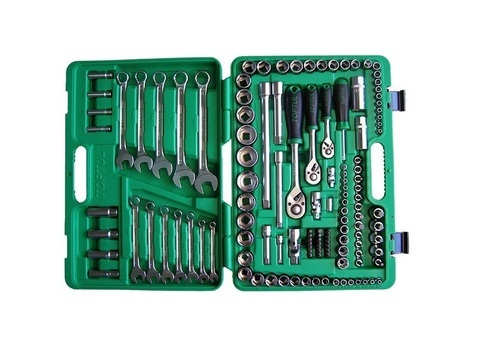 As an industry leader of 130PCS Professional Grade 1/4", 3/8" & 1/2" DR. Flank Socket Wrench Set (METRIC & SAE), we can manufacture first-rate 130PCS Professional Grade 1/4", 3/8" & 1/2" DR. Flank Socket Wrench Set (METRIC & SAE) with reasonable price. 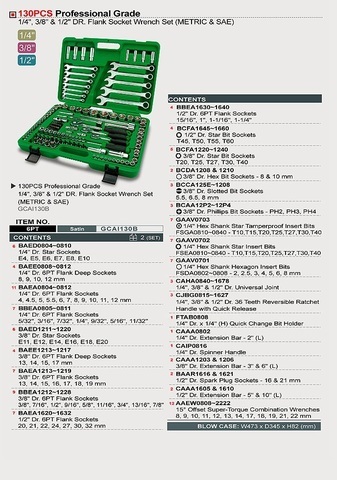 7x 1/4" Dr. 6PT Flank Sockets 5/32", 3/16", 7/32", 1/4", 9/32", 5/16", 11/32"
9x 3/8" Dr. 6PT Flank Sockets 3/8", 7/16", 1/2", 9/16", 5/8", 11/16", 3/4", 13/16", 7/8"
4x 1/2" Dr. 6PT Flank Sockets 15/16", 1", 1-1/16", 1-1/4"
PRICE RM830.00..(Toptul the mark of professional tools)..